Brush snow from evergreens as soon as possible after a storm. Use a broom in an upward, sweeping motion. 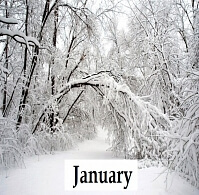 Serious damage may be caused by heavy snow or ice accumulating on the branches. When shoveling or blowing snow, carefully place it on top of perennials. This creates a white blanket and will protect your perennials from extreme temperature fluctuations. Don’t forget the birds, especially if you have been feeding them all along. Give suet to the birds to help give them energy. Fresh water will be quite important. Green Acre sells heaters for your bird baths to keep the water flowing. If you have some time this winter, paint the handles of you garden tools red or orange. This will preserve the wood and make the tools easier to locate next summer when you lay them down in the garden or lawn. Due to the fact that salt can be quite corrosive, consider using sand on your walkways and driveways. This will help keep damage to your plants at a minimum. Keep up with those birds. Green Acre has a wide selection of bird food available. Consider purchasing a notebook to keep records of all your gardening information. 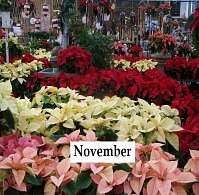 Include information such as seeds planted, favorite vegetable varieties, warranties on shrubs and trees from Green Acre, and yardage of mulch used to make it easy to order next year. Plan your vegetable garden on graph paper. Remember to rotate crops just like the farmers do. Tomatoes and Peppers use many nutrients from the soil and should be moved from year to year to prevent mineral deficiencies. Place birdhouses outside this month. Clean out any existing houses for new bird families to move in. If you’ve been feeding the birds right along, continue to do so, as they are relying on you. Be sure to stop in at Green Acre for any advice on pruning or trimming of shrubs, fruit trees, roses, landscape trees and perennials. If you have any perennials or grasses still standing tall over the winter, now is the time to trim them down. Be careful not to trim down any new growth. On a nice day, get out in your garden and clean them up. Remove any residual leaves or excess winter mulch, giving new life to your garden beds. Touch up garden and landscape areas with a fresh layer of bark mulch. Now is a good time to start summer flowering bulbs indoors. Gladiolus, cannas, and dahlias can be started in pots inside and then moved outdoors after danger of frost. We are now 6-8 weeks away from the average last frost date. You will want to start sowing your seeds indoors now. 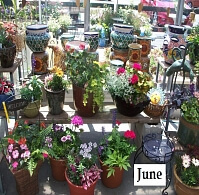 Stop in at Green Acre for a wide selection of seeds and helpful advice to get you going. Cut spent flowers on tulips, daffodils, hyacinths, and other spring flowering bulbs as the flower fades. Do not cut the foliage until it dies naturally. The leaves are necessary to produce food for strong bulbs for next year. Remove sticks, rocks, and other debris from you lawn to prevent damaging your lawnmower or injuring yourself when mowing. Check your lawnmower and other lawn care equipment in preparation for the coming season. Put a birdhouse in the garden or even a bat house to attract insect-eating friends. Measure rainfall with a rain gauge posted near the garden so you can tell when to water. The garden needs about one inch of rain per week from April to September. You can divide most perennials once they’ve reached about 4″ tall. Divide them to prevent over-crowding each other or if you simply want more plants. Now is a great time to plant bare root stock and perennials. 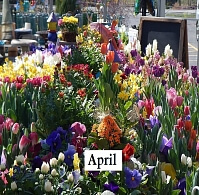 Be sure to stop in at Green Acre for any advice on pruning or trimming of shrubs, evergreens, fruit trees, roses, landscape trees and perennials. April thru Mid-May begins your first application of Turfline. Use Crabgrass Preventer plus Fertilizer. Turfline is a unique product as not only is it developed in this area, but it is designed to meet the needs of the soil types specific to this area. May is the time to repair your lawn. Fill in any bare spots by loosening the soil surface, sprinkle down grass seed and apply a light application of Turf-Line Seed Starter. Water the new seed daily for three weeks. Bring indoor tropical plants outside for their summer vacation, after the danger of frost has passed. Gradually get them used to the wind and sun by putting them out for just an hour or two a day and slowly increasing the time outdoors. If you haven’t applied your first Turfline step, it’s not too late. You will have until about Mid-May. Use Crabgrass Preventer plus Fertilizer. Turfline is a unique product as not only is it developed in this area, but it is designed to meet the needs of the soil types specific to this area. 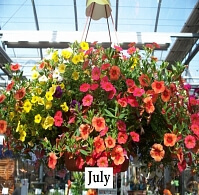 By the end of May you should be safe enough to start planting your annuals. If you get anxious and start too early, just be prepared to cover them with a light sheet should the temperatures get too cold at night. At this point, if you have started any seeds inside it should be safe enough to transfer them outdoors. You can also work in a slow release fertilizer like Osmocote to get your annuals off to a proper start. You can start fertilizing your roses with Bayer Rose and Flower. It is a slow release fertilizer and can be applied once a month. Or, if you want a more aggressive approach, use Miracle Gro Rose Bloomer once every 2 weeks. There is also an Organic Option with Bonide Fish Emulsion. This gets worked in at the base of the plant. Stop in at Green Acre for any additional advice. If you have any pruning, deadheading or dividing of perennial questions, be sure to stop in at Green Acre. We will be able to guide you in the right direction. Mid-May thru the end of June is the time for your second application of Turfline. Use Weed Killer plus Fertilizer. We highly recommend Turfline as it was formulated to fit the needs of this specific region. 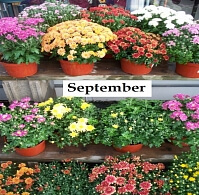 Remove old flower heads from annual bedding plants to keep them blooming. Wait to remove the foliage on your tulips, daffodils, hyacinths and any other spring flowering bulbs until they have gone fully yellow and will pull out easily from the ground. By doing so you are allowing the nutrients from the plant to go back into the bulb, giving strength to next years production. You can safely continue planting in your vegetable and annual gardens. Watch for black spot and powdery mildew on rose bushes. Spray them with Ortho Rose Pride to prevent these diseases from occurring. Avoid watering the leaves as this will cause the disease to spread more rapidly. If you notice any aphids or other garden pests, be sure to stop in at Green Acre to find out the most effective elimination techniques and the organic alternatives. Now is the time to prune any spring blooming shrubs once they have finished flowering. For proper pruning techniques, stop in at Green Acre. Azaleas, rhododendrons and other evergreens benefit form an application of Espoma Hollytone. 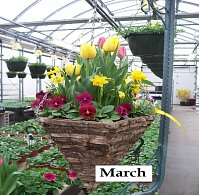 This will encourage new growth, enhance the green foliage and help set flower buds for next year. Be on alert for snail or slug damage in your hosta garden. Leaves will have many holes, especially near the edges. Thin leafed varieties are more desirable to snails and slugs than thick, puckery-leafed varieties. Use Slug Magic at the first sign of damage. Although you cannot control the rain, you can help prevent a slug fest by watering only in the morning and only as needed. Continue to fertilize your roses. 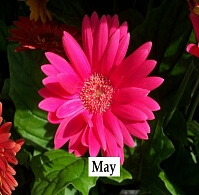 Give your flowers a boost with Miracle Gro Bloom Booster about 2 to 4 times a month. This will provide you with a bounty of flowers for the rest of the summer. The soil should be warm enough now that you have been able to clean it up and plant. Consider applying a layer of mulch on your flower beds or around your trees. This will provide a blanket to help keep weeds at bay and will help to conserve moisture. Use Preen Weed Preventer as an extra barrier in keeping the weeds at bay. Stake your annuals and vegetables before they get out of control. It’s not too late: Mid-May thru the end of June is the time for your second application of Turfline. Use Weed Killer plus Fertilizer. We highly recommend Turfline as it was formulated to fit the needs of this specific region. When cutting flowers for bouquets, use a sharp knife or shears for best results. Cut on an angle to provide more stem surface area for receiving water. Put cut flowers immediately into water. Begin scouting for Japanese beetles, especially on roses, rose of Sharon, birch, and linden trees. Use Bonide Eight or Sevin for a quick kill. This is the month when hydrangeas are looking their best. Spread 2.5 cups of Espoma ‘Soil Acidifier’ around the base of the plant and water in. This will lower the pH of the soil, promote dark green foliage, and turn the pink flowers to blue. Letting your lawn go dormant and dry in the summer months can discourage Japanese beetles hatching in your lawn, which become turf-damaging grubs. Try to limit watering to every 2-3 weeks. Your third application of Turfline is your Arthroban Grub and Insect Control. 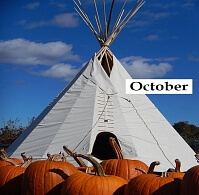 This can be applied from August thru the end of October. Powdery mildew can show up on your roses, lilacs or phlox this month. Applying a fungicide, such Ortho Rose Pride will help keep it under control. Keep an eye out for aphids and spider mites. Stop in at Green Acre and we will help you with the right solution. Plant trees, shrubs, and perennials now. Fall is an excellent time to finish any landscape projects that were put off because of the heat. Control ground ivy, creeping charlie, dandelions, and other broadleaf weeds in your lawn with Bonide Weed Beater. Or even spraying Weed B Gon in the fall will give you much better results than waiting until next spring. Resist the urge to trim azaleas, rhododendrons, lilacs, forsythias and other early spring blooming shrubs. They have already set their flower buds for next year’s bloom. Bring in houseplants before they start getting used to the cold weather. Be sure to apply systemic insecticide to houseplants before bringing them back inside. Fall is a good time to improve the soil in your vegetable garden. Recycle your fall leaves by placing them in your garden. If you’ve applied your third application of Turfline, you can get a head start on your winterizing needs. Use Turfline Winterizer plus Dissolve Weed Killer or Winterizer from Mid-September thru Mid-November. Add a little fragrance to your spring garden. Try planting hyacinth bulbs now and their soft perfume will fill the spring air. 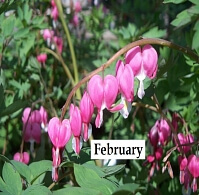 Varieties such as Carnegie, Pink Surprise and, BlueJacket are all deer resistant and bloom in mid-spring. You can apply FreezePruf to help protect your annuals from an unexpected frost. Best when applied above 50 degrees and at least 8-12 hours before a frost. This will improve the cold tolerance of the plants and will last up to 4-6 weeks after application. If you didn’t apply and a frost is expected, be sure to cover your annuals and vegetables with a cloth or sheet to protect them. Leave the seed heads on black-eyed Susans, coneflowers and ornamental grasses. Not only do they look great in the winter, but they’ll provide food for the birds. Now is a great time to set out those bird feeders. You can apply Turfline Winterizer plus Dissolve Weed Killer or Winterizer from Mid-September thru Mid-November. Keep your valuable landscape plants from becoming a “bunny buffet” by applying a repellant such as Bonide Repels-All or Liquid Fence. To keep the animals from damaging the trunks of your young trees, wrap them with Clark’s tree wrap or vinyl tree guards. Protect your roses from winter winds and cold temperatures. 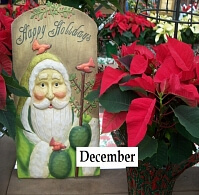 After the first hard frost, wrap burlap or wire mesh around each plant and fill it with straw, shredded leaves or mulch. Cut roses 1/3 in November and again 1/3 in February. It’s not too late to apply your 4th step of Turfline. Use Turfline Winterizer plus Dissolve Weed Killer or Winterizer thru Mid-November. If you started feeding the birds, continue doing so as they may be expecting it. Green Acre has a great selection of feed. Time to change out your fall container gardens to fresh greens. Stick boughs of Fraser fir and Douglas fir into the soil in your pots. Then add white pine tips, cedar, boxwood, winterberry and other interesting seasonal foliage to create gorgeous porch pots. Deer and rabbit proof your valuable trees and shrubs by spraying the now with Repels-All or Liquid Fence. Mulch tender perennials and newly planted shrubs to protect tender roots from extreme cold and fluctuating temperatures. Use loose organic material such as shredded bark. Have you raked up those felled leaves yet? Your lawn still needs as much light as possible to prepare for winter.